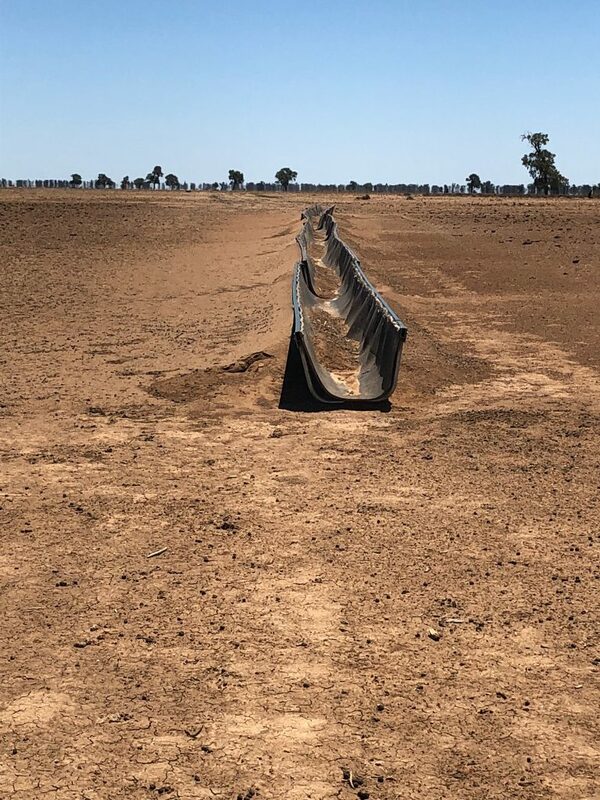 For the majority of Macquarie clients the severe drought conditions are yet to ease with many now into the sixth year. 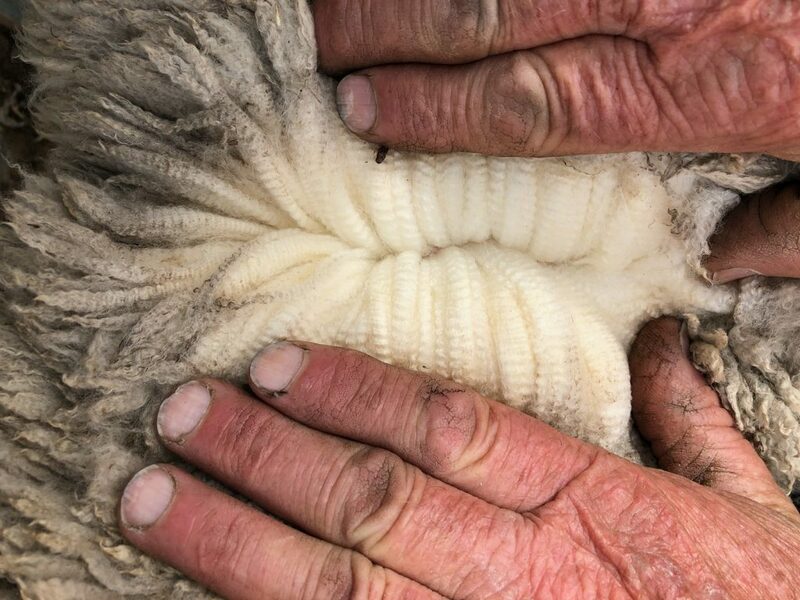 These conditions however, highlight the doing ability, the fertility and the price paid for surplus Dohne sheep. Macquarie blood continue to bring premiums on Auctions Plus. On numerous occasions throughout the year clients Sheep have topped the market. Congratulations to these clients (too many to mention)…….its a partnership; good management and good genetics. It’s great to see the improvement in the wool market over the last 18 months ….. we’ve only been waiting for 28 years!! It has however, shown its volatility in recent times. It takes 12 months to grow 5 or so kg of wool and 18 days to grow 5kg of lamb. Our ram sales reflected the drought conditions and the depletion of client sheep numbers. Despite this we recorded a record crowd of 63 people at our annual production sale. Although the clearances were down we were extremely pleased with the result. We have always maintained our number offered in spite of seasonal or market conditions. We have never chased high averages or high clearances. We strive for client selection and satisfaction and this, we achieved. We are in the middle of a large AI program using 7 stud sires representing 5 families. Leading sires include Wardry ‘JB’, 2018 reserve champion at Bendigo, Empire ‘Bob’, grandson of Tom and Majestic 4342 , the highest ranking 2017 drop Dohne ram in Australia. I believe these to be the best sire battery used at Macquarie. These sires will now be joined naturally to our maiden ewes. AI Program conducted by Central West Genetics, Greg McCann and Alicia McConnell. 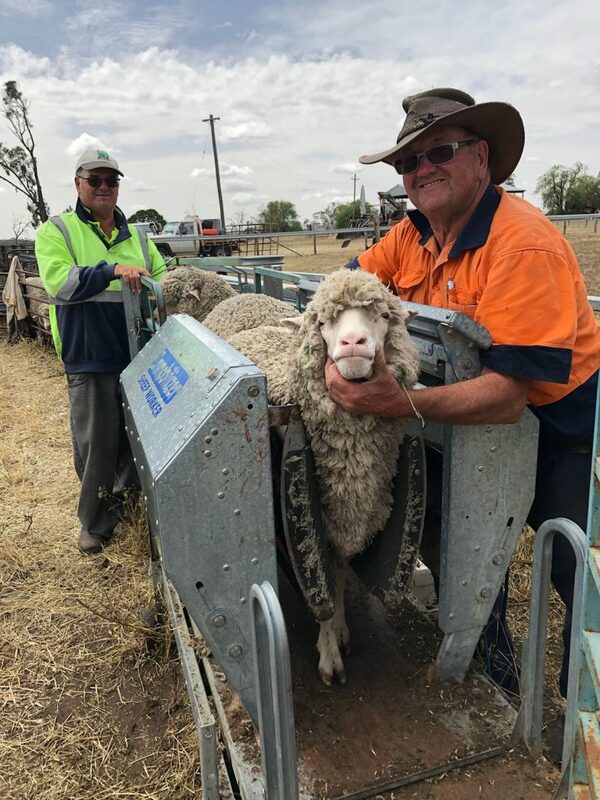 A big thank you to all clients, stock agents, Chris Clemson and Russell Hiscox, our classer James Koster, auctioneer Paul Dooley, secretary Tanya Barton and all the staff at Macquarie Dohnes for your continued support and dedication. Wishing everyone a Merry Christmas and a vastly seasonally improved 2019. 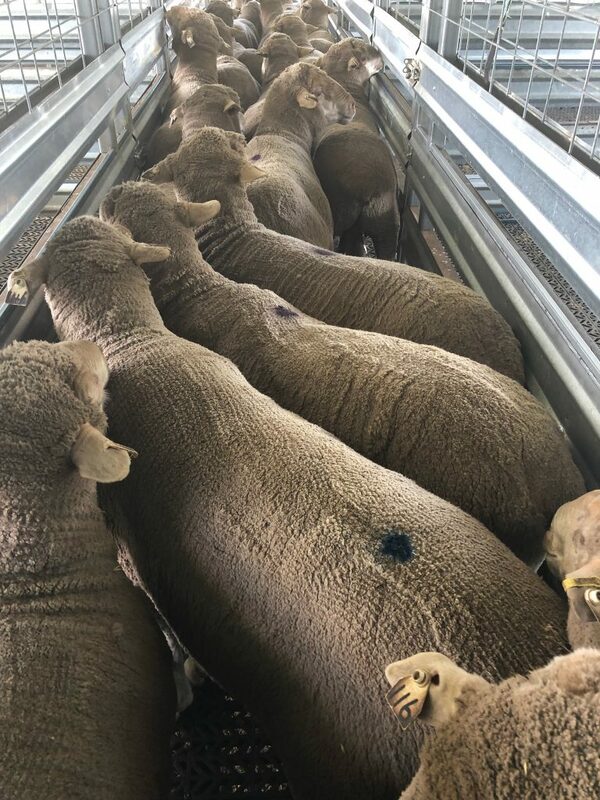 Auction rams destined for the O’Brien’s of Cryon and Come By Change Walgett NSW. The severe conditions at Michael O’Brien’s, Come By Change Walgett NSW. Classing at Ian and Max Pilgrim’s, Minimay VIC. Classed ‘keeper’ ewes at Ian and Max Pilgrim’s , Minimay VIC. 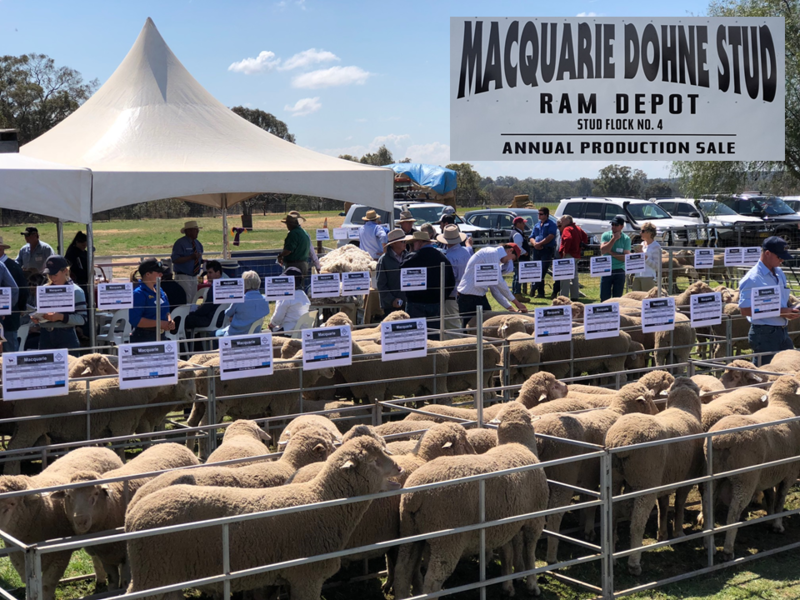 This year we had a change of venue to Macquarie’s new ram depot at Ballimore a little north of Dubbo. 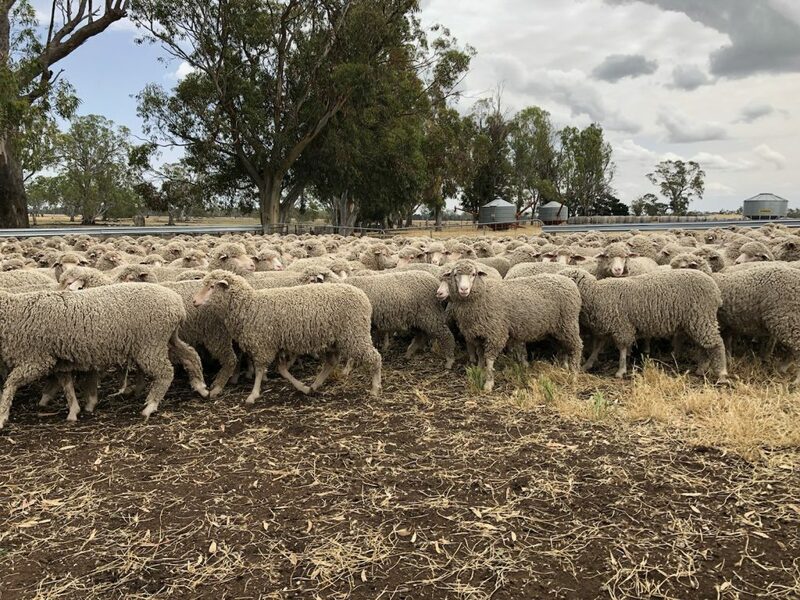 The two sale-toppers were purchased over the phone by stud breeders in Western Australia while another went to a new home in South Australia. All were specially selected rams. 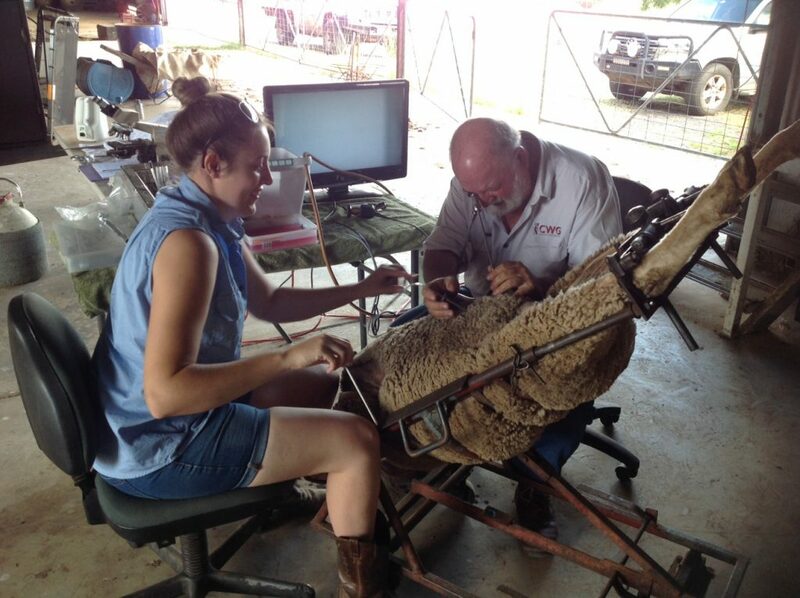 The sale was conducted by Clemson Hiscox and Company, Walgett NSW, with guest auctioneer, Paul Dooley, Tamworth NSW. 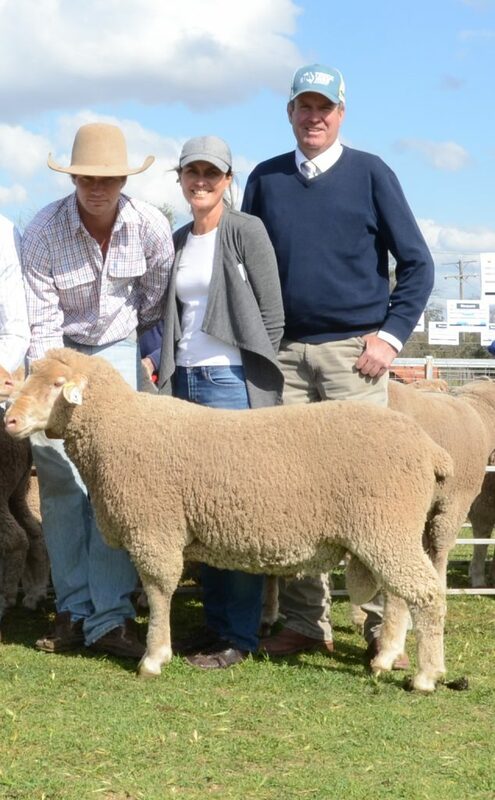 William Nadin holding top priced ram with Robyn Nadin and auctioneer Paul Dooley, sold to Chirniminup Dohne Stud WA. Macquarie had the largest offering of 15 rams. 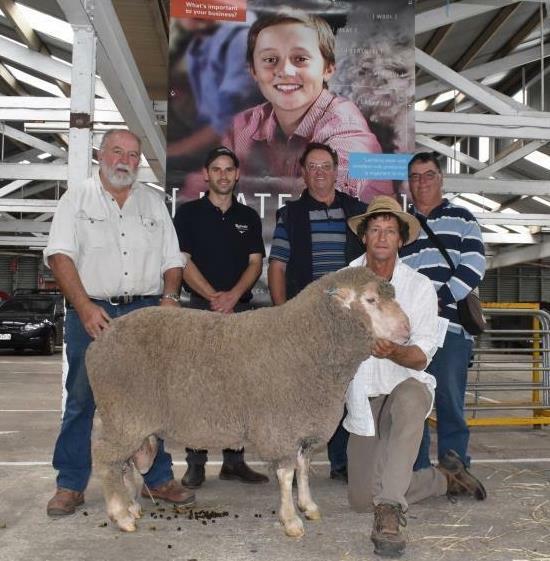 Macquarie rams topped the sale at $6250 and had the highest sale average of $1895, both prices were up from last year. Greg McCann, Agent Rodwell Horsham VIC – Jacob Davies, Purchasers Max & Ian Pilgrim, Minimay VIC and John Nadin holding the top priced ram.